One of the best features of vinyl replacement windows is their ease of maintenance. Not only are these windows extremely durable and long lasting, they are also virtually maintenance free! You will never need to scrape, paint, or stain your windows ever again! At times some general maintenance will be required. Before getting started be sure to read the specific maintenance recommendations provided by your replacement window manufacturer based on the windows you purchased as well as the glass type. People Love Their Vinyl Windows Because: They are Virtually Maintenance-Free! 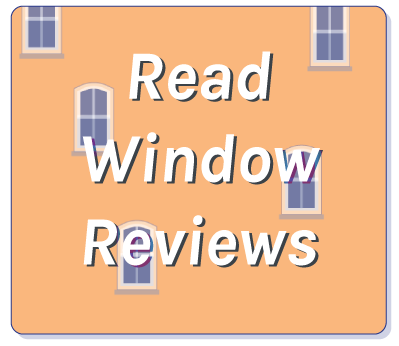 One of the best features about vinyl replacement windows is their ease. In addition to being durable they also require very little overall upkeep. People Love Their Vinyl Windows Because: They Will Never Need to be Scraped, Painted, or Stained. Keep your windows looking good as new by washing with a mild detergent and soft scrubbing brush. A quick rinse and dry prevent cleaning solutions to collect or puddle on the vinyl’s surface. Make sure to clean the window frame, casing, and the adjacent wall area as well to reduce buildup of dirt and debris in the window components, which often contributes to jams. If there are hard-to-remove stains, do not use a hose or power-wash windows. This can break a window’s seal and allow water into the frame. Avoid using sharp objects to scrape the windows. If using a silicone-based sprays, use with caution! Apply only in small amounts and wipe off excess in order to avoid staining and/or damage to the window. DO NOT use the following substances as they may damage protective finishes. People Love Their Vinyl Windows Because: Hardware and Weatherstripping can Easily be Replaced if Necessary. Check hardware for windows that are not opening or closing properly at least biannually. Regularly check weather-stripping to ensure your window seals are airtight. Vacuum the tracks on all windows to remove any interior dirt or debris. Inspect replacement windows at least once a year to ensure maximum usage, warranty coverage, and check for any necessary cleaning, repainting or re-staining. Re-caulking around windows can help maintain optimal performance. 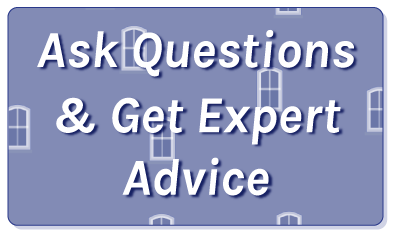 Inspect the sealant/caulking on the window frame and the exterior siding to make sure it is still intact and not broken, cracked, or missing. Check for leaks and water damage on the window exterior – especially around windows that may subjected to prolonged water exposure (near sprinklers or vents). Check exterior paint for corrosion, peeling, or cracking and if it has to be touched up or repaired to prevent further damage. Inspect the interior finish of your windows – UV rays can break down, stain, and cause the interior finish to fade. Deterioration that occurs as a result of improper or insufficient maintenance is, at many times, NOT covered by warranties. Keep your replacement windows glass looking brand new with these glass cleaning tips! Clean with mild soap and water and a soft brush horizontally, then vertically followed by a quick rinse and dry to keep cleaning solutions from puddling on the frame. Wipe dry with separate cloth to prevent streaking. Cleaning solutions can harm the glass and frame, potentially weakening the seal, especially ammonia-based cleaning products. For stubborn stains like grease, or oil, try using a small amount of non-abrasive cleaner or a solvent like acetone or mineral spirits to a microfiber cloth and rub on the areas of glass that need spot cleaning. Wipe dry. Never use a razor blade to scrape off debris materials as it may leave permanent scratches. If possible, clean interior and exterior glass from INSIDE for safety reasons.